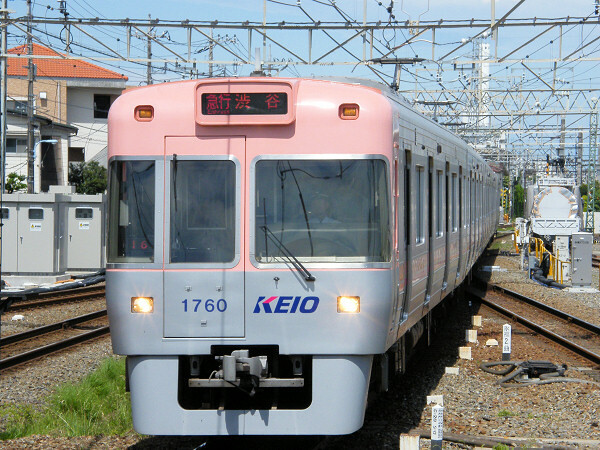 The 1000 Series is a four-door commuter-type electric multiple unit developed by Keio to replace the 3000 Series on the Keio Inokashira Line. For over 30 years, the 3000 Series had served as the mainstay of Keio's rolling stock on the Inokashira Line, but by the 1990s, these trains were showing their age. 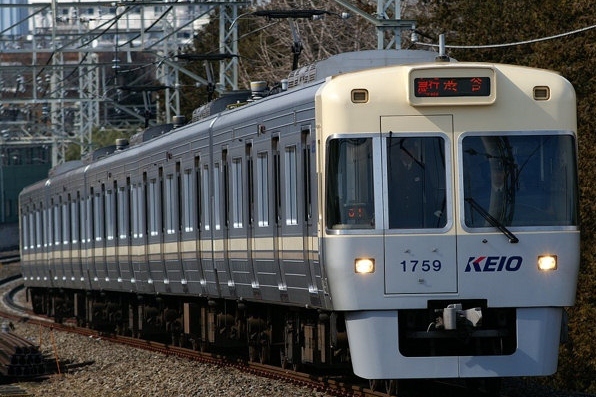 Keio decided to introduce a new four-door 20m train to repalce these three-door 18m trains. This new train was named the 1000 Series. 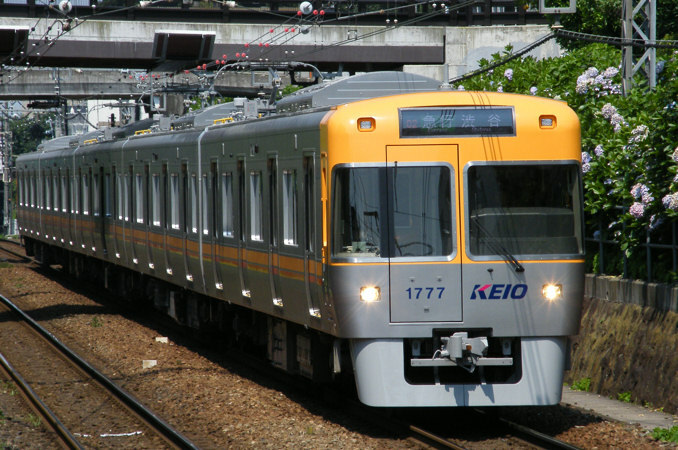 The 1000 Series was the first train on the Inokashira Line to use variable frequency drive. Odd numbered formations up to 1710F use GTO thyristor elements while even numbered formations use IGBT elements. Formations 1711F and on all use IGBT elements. Like the 3000 Series, 1000 Series trains have seven different paint schemes. The front part of each end car is painted in one of seven colors with a stripe of the same color running along the side. The later trains, 1711F and on, were given a new end car design closer in appearance to the 3000 Series and also got rid of the beaded side panels in favor of newer, flat side panels.